Whey was tested as a cure agent for strengthening the immune system, as well as for the regulation of bowel movements, whereby preventing the inflammatory processes in the body. It proved excellent for weight loss and is recommended by many nutritionists. This healing drink is rich in minerals, vitamins and high quality protein, which can be found in breast milk. What is the composition of the whey? This by-product is generated during the preparation of cheese rich in lactic acid and enzymes, and high value protein, vitamins (B6, B2, B12, K, C), minerals (potassium, calcium, magnesium, phosphorus), amino-acids, and in addition has a low calorific value. For centuries, using whey as a medicine as a means to stimulate appetite and improve digestion, proved that, in addition to preventing the occurrence of hypertension, stroke and heart attack, it regulates cholesterol, increases muscle mass, prevent osteoporosis, strengthens the immune system, eliminates stress, provides the body a high energy level. 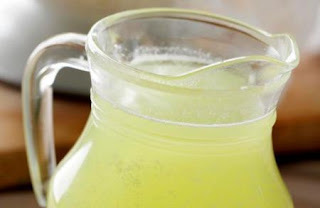 Therefore, many nutritionists, experts, and doctors advise to daily consume this milk drink. Whey powder is obtained from the industrial processing of milk but it cannot compete with domestic whey, which is much healthier. Beta-lactoglobulin: studies have shown that this protein (found in breast milk) binds to fat-soluble vitamins, which also become better used in the body. It is also an excellent source of the so-called chain of amino acids that prevent cracking of muscles during exercise, and are also important for the regeneration of damaged liver cells, so the beta-lactoglobulin from the whey in the future could play a key role in the treatment of cirrhosis. Normally, this protein enters into the composition of food for babies. Alpha-lactalbumin: an excellent source of essential amino acids, binds to calcium and strengthens bones. In addition, it stimulates the secretion of serotonin (which is also called the "hormone of happiness"), depressed people are advised to drink buttermilk every day. Immunoglobulin: makes up about 10% of the protein in whey and in breast milk and are important for strengthening the immune system not only in infants but also in adults. Lactoferrin: these proteins play an important role in the prevention of inflammatory processes because it binds to iron which is pathogenic for bacteria and viruses in food. In addition, lactoferrin stimulates the creation of useful bacteria in the intestinal tract as Biftdobacterium bifidus. Lactoperoxidase: such as lactoferrin, this protein inhibits the growth of pathogenic bacteria that eats iron, thus stopping the inflammation. Boil a litre of milk and while still hot, add the juice of one lemon. Allow it to stand for a while, until a transparent greenish liquid is formed - whey, you should pour it into the bottle and place in the refrigerator. What remains is a tasty young cheese. How much whey should we drink in a day? Take smaller or a larger bucket of whey and place it in 2 ml of water (one glass), with each dish drink. This will particularly help people who are prone to heartburn (Read more in the article gastritis symptoms), because it will thus help the secretion of gastric acid and ease digestion in the large intestine. Bread: Mix four cups of whey, two cups of whole wheat and white flour and wheat germ, two tablespoons of sugar and a teaspoon of yeast powder. Knead the dough, let it rest for two hours, knead and bake for half an hour at 200 ° C.
The liver is the only organ in the human body which has the power of regeneration, and plays an important key role in food processing and detoxification of the body. Drinking whey as drug will help replenish damaged liver, it is necessary to use it in a long run. During treatment, you must avoid fatty foods, alcoholic beverages, cigarettes and other substances that deplete the liver. This medicinal liquid is beneficial in cases of indigestion, bloating stomach, irregular stools, bacterial flora disorder in the intestines and chronic inflammation. Whey is recommended for people who want to get rid of excess weight because it provides a sense of fullness by promoting the secretion of hormones that affect appetite suppressant. In this way, the consumption of medicinal fluids helps us, and provides better psycho-physical condition in a whole. At the beginning of last century, European elite went to the Swiss spa, where, in addition to thermal water, health problems were treated with whey - and problems with constipation, obesity, hormonal disorders and atherosclerosis, diseases of the liver and pancreas were all treated with whey. This therapy was then forgotten so that the scientific research carried out ten years ago, would bring it back again in the spotlight. Numerous studies of proteins in whey confirm their potential in strengthening the immune system, preventing development of cancer, and serious immunological disorders caused by HIV virus. Studies at Boston University have shown that whey as a drug can prevent disease such as osteoporosis, because it compensates for proteins whose deficiency leads to bone porosity.